Darkproof ladies' tights with 360° retro-reflectivity. 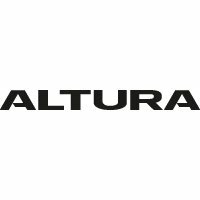 Altura women's cycling longs are especially desirable, thanks to their cosy thermal fabrics, their cushioning chamois pad and their NV (NightVision) 360˚ reflectivity. Altura call these longs 'waist tights' to differentiate them from their bibtights. Altura Darkproof® technology offers superior retro-reflectivity.